There is constant exposure to popular sports drink brands Gatorade and Powerade in advertisements and on the sideline of professional and college sports games. Advertisements claim that these drinks are going to rehydrate the body and replenish what was lost during the workout. But are these sports drinks really more effective than water for the non-professional or collegiate athletes? Sports drinks are high in sugar, sodium and calories which is more than what a moderately active person needs to replenish their body post-workout. According to the American Heart Association, people should have a sodium intake of less than 1500 mg per day. But even if 1500 mg per day is treated as a maximum, a single bottle of Gatorade (591 ml or 20 oz) has 270 mg of sodium, which would be 11 percent of the daily maximum amount. In one bottle of Powerade (360 ml or 12 oz) there is 150 mg of sodium, which would be 6 percent of the daily maximum intake. Water has no sodium at all. The AHA said that the body only needs 500 mg, which is only ¼ of a teaspoon, a day to function properly. But it was found that many Americans consume more than 3,500 mg of sodium per day, which is seven times more than what the body needs and more than double what the maximum intake should be. The sodium in the drink alone is not necessarily the issue. If someone is vigorously exercising, the drink can be used to replenish the sodium that is lost. Although there is not a lot of research on how much sodium is lost during the workout process, a study showed that about 500 mg of salt is lost per pound of sweat. It is the high sodium levels in sports drinks, such as Gatorade and Powerade, on top of one’s daily eating routine that can cause sodium levels to spike. Over consumption of sodium can have serious health implications such as heart attack, heart disease, kidney damage and high blood pressure. In addition to the sodium, sports drinks are extremely high in sugar and carbohydrates. In a 20 oz bottle of Gatorade, there is 34 grams of sugar, and a 12 oz bottle of Powerade has 21 grams. For the average person doing moderate exercise, the electrolytes in the drink are not worth the added sugar and calories. If weight loss is someone’s workout goal, they may want to avoid sports drinks. The average person burns about 100 calories per mile they run. If one ran two miles during their workout they would burn roughly 200 calories. If this workout is immediately followed by a sports drink, there will be little calorie deficit left. This point was validated Floris Wardenaar, a nutrition professor at Arizona State University, who said that if someone feels like they need to replenish after a workout they should eat a meal rather than consume a sports drink. The meal will likely have more nutritional value such as vitamins and protein. 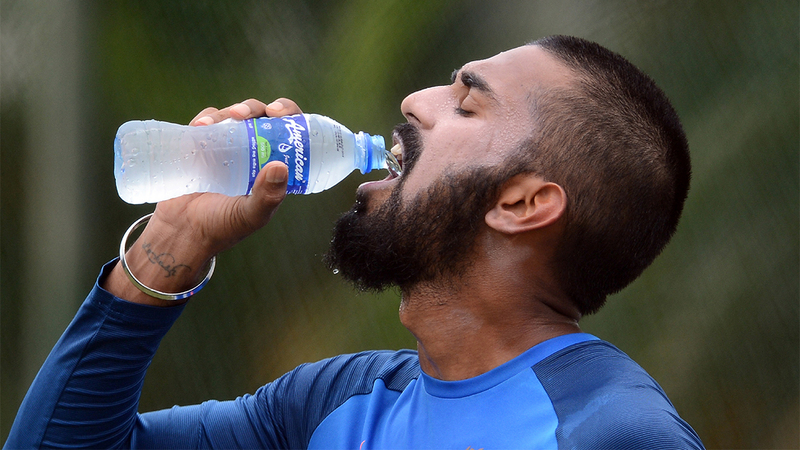 According to Healthline, most people who are consuming popular sports drinks are not athletes. Gatorade, Powerade and other sports drinks were originally constructed for athletes who participate in extreme workout routines on a daily basis and who’s body’s need both the carbohydrates and sodium. For mildly active individuals and weekend warriors, the best option is water. Since the majority of our body is made up of water, it is the most easily recognized. According to a study posted in Journal of Athletic Training water begins absorbing in the body more quickly than its sports drink alternatives. Water makes up 60 percent of the human body. Unless you’re doing intense training everyday, running a marathon or playing professional sports, it is best to stick with water.